Hello, Please contact me, I am interested in properties for Rent in Pattaya. Best Regards. "The property market in Pattaya is one of the most dynamic and robust in all of Thailand. Offering excellent rental opportunities, it is clear why Pattaya is a popular place for many to relocate. Not only are the properties within this eastern city located right on Thailand’s Gulf-coast modern and affordable, the city is filled with tropical beaches, exotic culture, and nearly perfect weather. Pattaya’s close proximity to Bangkok is another important element in what makes the city a great place to live. If you are interested in relocating and renting out a property in Pattaya, or even if you are just looking for a place to rent as you “test the waters” of the city, you can begin your search here on Thailand-Property.com. Simply click on the Rent section and type in Pattaya into the open field. When you include whatever your real estate specifications are you will receive a list of Pattaya’s best apartments, condos, villas and houses that match your search. Additionally, if you are looking for an actual human to help you it is easy to take advantage of our real estate agent section. No time to look or talk? There’s always the Property Alert tool, which allows visitors to get quality listings straight to his or her email. 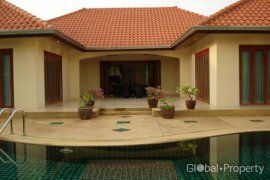 At Thailand-Property.com, you can find anything you need to help you find the best properties in Pattaya for rent." Thailand Property is an online property portal where thousands of property searches happen every day. 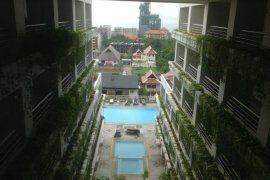 Start your search today for affordable property for rent in Pattaya from 3,589 available listings. Condominiums, houses, townhouses, villas, commercial space, and luxury properties are available for rent in Pattaya. Pattaya’s properties for rent are either listed by private home owners or property agents such as Supreme Real Estate Co., Ltd, Accom Asia Co.,Ltd and RE/MAX CondoDee. The average asking price for property rentals in Pattaya is ฿ 54,846 for houses and ฿ 27,623 for condos. Refine your search to help you find the perfect Pattaya property by price and number of bedrooms.